One of the nineteenth century's most successful and most frequently revived plays, An Ideal Husband has divided critics more than any other of Wilde's plays. Treating political intrigue, financial fraud, blackmail, scandal and spin, and the role of women in public life, it is a play which engaged with issues of vital importance to its late-Victorian audience, which continue to resonate today. 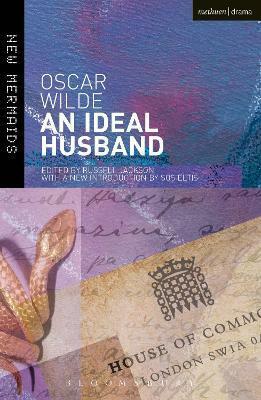 Sos Eltis, a specialist in Victorian drama and its relation to women's issues, provides a stimulating new perspective on An Ideal Husband, through an introduction that looks at its relation with contemporary social purity campaigns, women's rights, and political scandals. The introduction also gives a substantial performance history, with particular reference to the play's film versions and the influential Peter Hall theatre production. Sos Eltis is a Fellow in English at Brasenose College, Oxford, and a member of the Oxford University English Faculty. She is also a senior member of the Oxford University Dramatic Society and a member of the board of Oxford Playhouse Theatre. She has written extensively on Victorian and modern drama, and on Oscar Wilde in particular. Russell Jackson is Allardyce Nicoll Chair in Drama and Theatre Arts at the University of Birmingham.